Be the office hero by surprising your coworkers with a Pulse Perk Up! 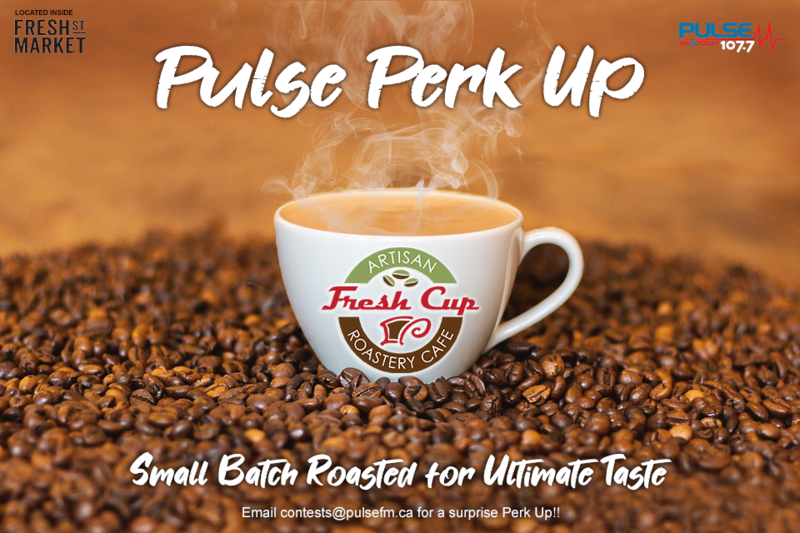 Nominate your workplace for a Pulse Perk Up and Neil and Leah from Pulse Mornings will make a surprise drop in with fresh organic coffee from Fresh Cup Roastery Cafe, roasted in store at Fresh St. Market in small batches for ultimate taste. 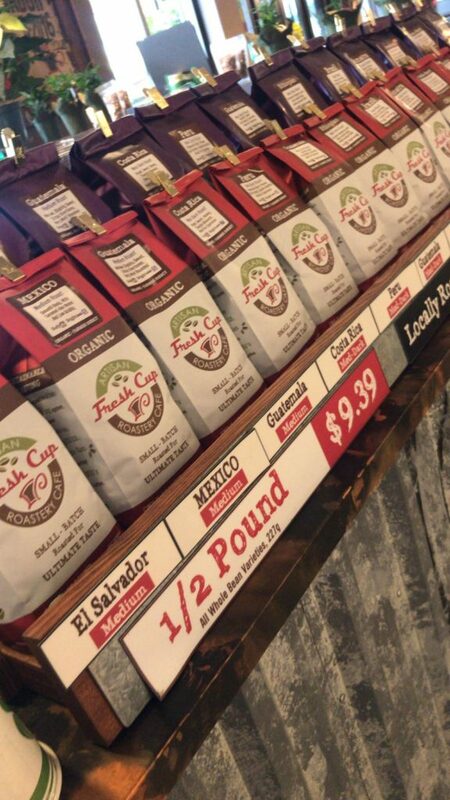 Because we realize people are pretty picky about the taste of their coffee, we’ll come with two brews including a Mexican medium roast and an award-winning Peruvian medium /dark roast to ensure everyone’s happy. Pulse Mornings will also come armed with delicious baked goods from Fresh St. Market and that South Fraser charm guaranteed to inject a boost of energy into your workday! All you have to do is email us at contests@pulsefm.ca with your name, the name of the company you work for and your phone number – we’ll take care of the rest. Who doesn’t love a good surprise? Surprise your office with a Pulse Perk Up! Enter Below to have a chance to Win your Surprise Perk Up! By entering the Pulse Perk up, We (I) understand and allow photos, videos and audio to be captured at the Perk Up to be used on South Fraser Broadcasting's, 107.7 Pulse FM's digital/social platforms. 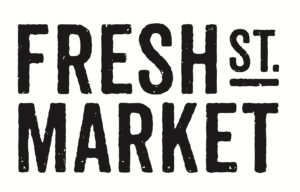 Explore and discover amazing fresh and healthy foods at Fresh St. Market, proud to support local farmers, vendors and businesses to provide only the freshest products and ingredients. Visit them today in the Panorama and Fleetwood Village Shopping Centre in Surrey or on Marine Drive in Vancouver.